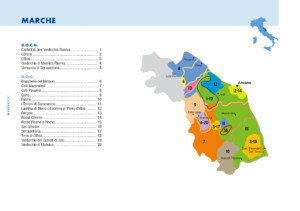 The Marche region accounts for 2% of Italy’s wine production, with white wine comprising 53% of regional production. Verdicchio is the bestseller among the wines of this peaceful Adriatic Region. But, the long-time devotion to whites no longer obscures the merits of its reds, recognized in the DOCGs of Conero and Vernaccia di Serrapetrona. The Castelli di Jesi zone is the home of the Verdicchio that decades ago made an impression abroad, often packaged in a clear, fish-shaped bottle.  However, a new style of Verdicchio has emerged as a white wine of distinguished character in standard bottles, including a new Riserva level with DOCG status as of 2010. Verdicchio also makes good sparkling wine, usually by the sealed tank method of fermentation, but also occasionally by the classical method in the bottle. The red wines from the Marche are based chiefly on Montepulciano and Sangiovese––sometimes blended, sometimes not. The most important in terms of volume is Rosso Piceno, dominated by Sangiovese. Conero, dominated by Montepulciano, has gained praise thanks to the devotion to quality shown by its leading producers who have been rewarded with DOCG status. Two unique red wines are gradually gaining more than local reputation: Vernaccia di Serrapetrona DOCG and Lacrima di Morro d’Alba, both featuring their own unique blend of highly perfumed aromatics.